I already knew that when awards started being handed out for 2013’s performances, I wanted this column to tackle one of last year’s races, to examine how the dust settles on award choices 12 months later. And it so happened that my rotating category wheel spun to Best Actress. Having just seen American Hustle, though, I now feel as if I couldn’t have planned this any better, since Jennifer Lawrence gives more or less the same performance in both of David O. Russell’s last two films. 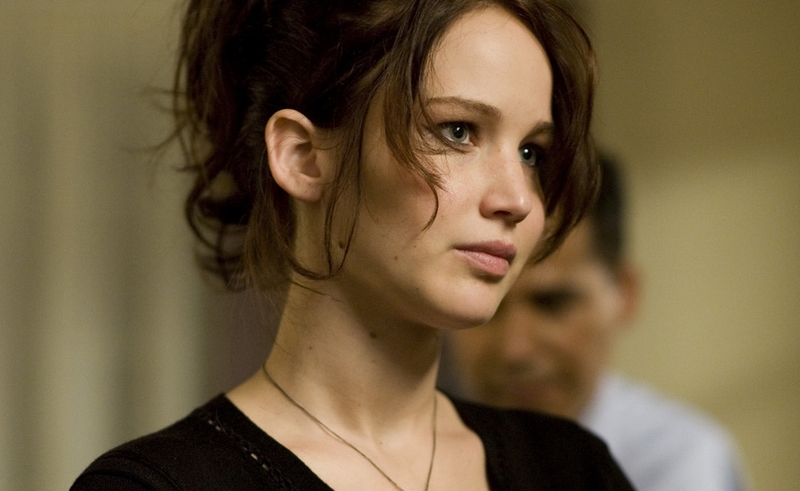 While Lawrence has been stoically tough in Winter’s Bone and the Hunger Games pictures, Russell prefers to tap her screwball side—especially in Silver Linings Playbook, which doubles her energy level by having her character, Tiffany, literally pursue Pat, Bradley Cooper’s bipolar mess, by jog-stalking him. It’s an enormously fun performance (as is her brassy 1970s housewife in American Hustle), and I’m always happy to see the Oscar go to something non-wrenching, as the Academy perpetually overlooks comedy. At the same time, though, there’s something a touch desperate about Lawrence in both of the Russell films, and I’m not sure whether that’s because she’s sweating a little too much to achieve the effect, or because she’s slightly out of sync with the rest of the movie. When Tiffany rattles off the scores of all the sporting events that coincided with the time she and Pat spent together, to prove she didn’t ruin anybody’s juju, there’s a studied aspect to it not unlike, say, Kevin Costner’s “I believe in” monologue from Bull Durham. The movie stops cold to accommodate it, and it feels like an “Applause” sign should light up at the end. That’s more Russell’s fault than Lawrence’s, but the showiness sometimes intrudes on what’s otherwise instinctive. Hester Collyer, the protagonist of Terence Rattigan’s 1952 play The Deep Blue Sea, isn’t an especially admirable character. She’s deeply, miserably in love with a cad and unable to do anything about it; her only modes of existence in the story’s present tense are romantic masochism and potential suicide. Rachel Weisz burrows so deep into this sad woman that she nearly succeeds in removing herself entirely, leaving only a broken shell behind. It’s a performance of enormous integrity, albeit one that’s somewhat limited by Rattigan’s narrow conception of Hester: She’s so incapable of change, and so utterly self-aware, that there really isn’t anywhere for an actor to go once the basics have been well established. (The movie does include some flashbacks that give Weisz the opportunity to play Hester in the first flush of love.) Weisz’s finest scenes take place opposite Simon Russell Beale, playing the older husband she threw over after falling in love; Hester’s tenderness toward him is palpable, as is her guilt over her actions and her resolution that there’s no turning back, even though she’s now unmistakably doomed to endless sorrow. Again, if I’m not as over the moon as others were, it’s more of an issue with the role than with the performance itself. Both must be outstanding to justify singling one out from the hundreds of other candidates, and while I like The Deep Blue Sea a great deal (it was on my top 10 list last year), Hester just has too few facets to permit a truly great performance, at least without talking liberties. All the same, Weisz can hand any casting director in the world this movie and The Brothers Bloom, in which she’s all bubbly exuberance, and feel confident that her range can’t possibly be questioned. Ah, yes, LAFCA and their ties. 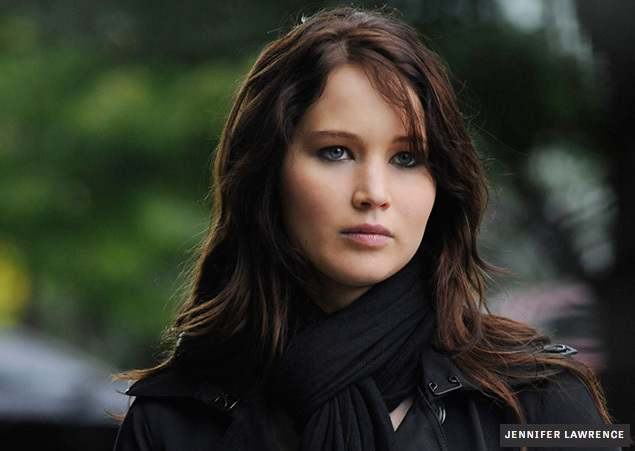 (They had three in major categories this year, including Best Actress.) Splitting the prize between opposite ends of the age spectrum was an interesting choice, but I think it did a disservice to Emmanuelle Riva, a great French actor who deserved a spotlight of her own. (See just below.) 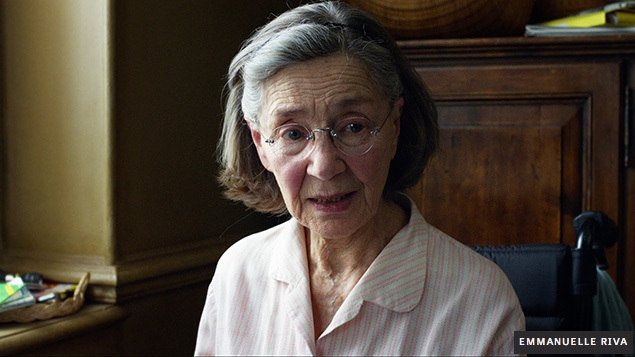 There’s a sense in which her role in Michael Haneke’s Amour is a gimme, awards-wise: The character, Anne, suffers a stroke early in the film and spends the rest of it slowly deteriorating, a scenario that falls snugly in the “affliction” category of surefire trophy bait. But while Riva does do some very basic physical transformation (mostly along the line of pretending to lose strength in her limbs, and later the power of intelligible speech), the performance is far richer and more delicately layered than that. Her rapport with the equally great Jean-Louis Trintignant, playing her husband Georges, is at the heart of it. As the title insists, this movie is fundamentally about love, and Riva’s task is to convey the essence of a decades-long relationship at every stage of a gradual decline. When Anne is mildly incapacitated right after the initial stroke, Riva ever-so-slightly tweaks the cozy familiarity Anne shares with Georges in the early scenes, suggesting the strain imposed by her feeling like a burden. Each successive step toward helplessness is calibrated just as finely, and when the time comes for her to give cry with inarticulate pain while being bathed like an infant, Riva, who was 84 years old when Amour was shot, has no interest in vanity. Were Jennifer Lawrence’s comic chops this accomplished, I’d be fine with a tie. But that’s a tall order. There we go. Good job, NSFC. There were, however, two performances in this category I liked even more than Riva’s, so I’ll use this space to praise one of them. (The other is below.) Ann Dowd’s work in Compliance doesn’t entirely qualify as “overlooked”—she won Best Supporting Actress from the National Board Of Review, and there was an unsuccessful push to land her an Oscar nomination in the same category. (This is a case where it’s genuinely hard to say whether the character qualifies as a lead. I think she does, but it’s definitely a judgment call.) But it’s a shame that she wasn’t more widely recognized, because it’s rare to see a longtime, hard-working character actor given a chance to show what she’s capable of via a significant, complex role. Dowd’s job was particularly difficult in that Compliance, though based on actual events, has a story so insane, it’s nearly impossible to believe: a caller identifying himself as a policeman persuades a fast-food manager (and others) to strip-search a female employee, ostensibly because she stole money from a customer’s purse. Most people instinctively believe they would never fall for such an obvious ruse (though most people are dead wrong: The perpetrator pulled it off dozens of times, and was rarely not obeyed), so Dowd has to persuade viewers that a person of average intelligence, with no intention of mistreating the victim, would follow orders that sound utterly insane to an objective observer. Like Riva’s, this is a step-by-step performance, the behavioral equivalent of the fabled frog that stays put in the pot being brought to a boil by slow degrees. Many of the manager’s decisions are misguided, but none, taken in isolation, seems inconceivable; Dowd captures the manager’s ingrained respect for authority while simultaneously conveying her uneasiness with the whole situation. She illustrates how good people can be made to do evil things—a Herculean task. An Israeli-American actor with relatively few credits to her name, Hani Furstenberg lights up the first hour or so of Julia Loktev’s magnificent The Loneliest Planet with her irrepressible joie de vivre. Her character, Nica, is hiking through Georgia (the country, not the state) with her fiancé, Alex (Gael García Bernal), and the two of them are clearly meant for each other—in many respects, they seem like the youthful version of the couple in Amour, with their own disintegration drama waiting decades in the future. Almost precisely at the movie’s midpoint, however, they’re forced to confront… something. Revealing what happens would be unconscionable, not because it’s a “twist,” but because the film is much more effective if it’s as shocking and utterly unexpected to the viewer as it is to Nica and Alex. After it occurs, Nica, who’d been a chatterbox up to this point, shuts down almost completely, and the remainder of Furstenberg’s performance is effectively silent. Which is fine, because the torrent of conflicted emotions Nica feels in the wake of this incident, which instantaneously redefines her long relationship with Alex, is reflected in her face, her body language, and even the way she walks, in a movie that’s roughly 90 percent walking. In essence, Furstenberg plays two characters in the film: Nica Before and Nica After. The tricky part is revealing the presence of the former hiding within the latter, and that’s what this remarkable actor, who turned up in Loktev’s film seemingly out of nowhere (and opposite someone of Bernal’s stature), does so well. In a just world, this would have been a star-is-born scenario, with critics hailing the arrival of a major new talent; in the real world, nobody much cared, even though the film itself was generally well-reviewed. We can’t afford to squander potential like this, people.